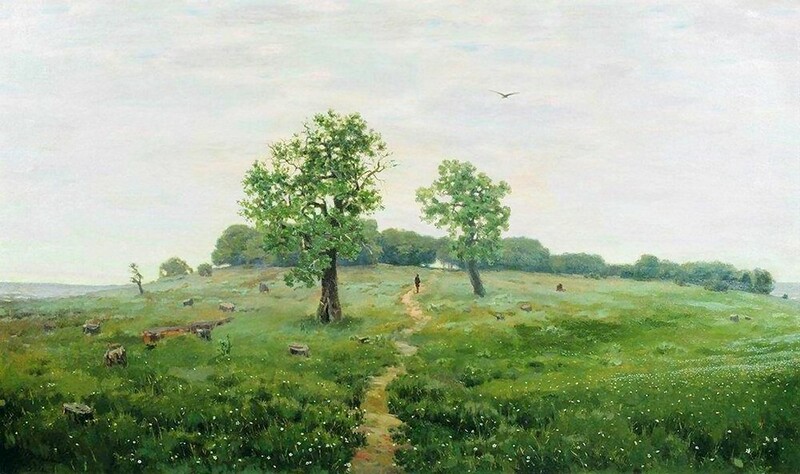 Apollinary Vasnetsov – The Tretyakov Gallery. Title: Серый день/A Gray Day. Date: 1883. Materials: oil on canvas. Dimensions: 54 x 89 cm. Source: https://www.flickr.com/photos/amber-tree/33217529712/in/album-72157681281983225/. I have changed the light and contrast of the original photo.